KEF B110 REPLACEMENT SP1003. FALCON B110 8 ohm. MATCHED PAIR. MADE IN UK. Falcon B110, KEF B110 replacement. The genuine Bextrene-cone B110. MATCHED PAIRS. Used in the Classic Original LS3/5a. Falcon B110, KEF B110 replacement. The only genuine Bextrene-cone B110. MATCHED PAIRS. Used in the Classic Original LS3/5a. Designed by Malcolm Jones, the original KEF B110 designer. Each unit is hand built and tested in Great Britain, and is post-Production matched by chamber-test frequency response curve test sequences. The result of eighteen months research by Malcolm Jones and Jerry Bloomfield of Falcon Acoustics. The Falcon B110 is designed to be a genuine and exact replacement for KEF B110 SP1003 applications. 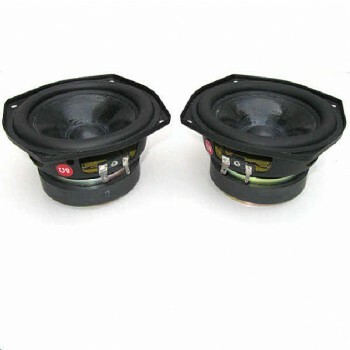 A genuine B110 as used in the classic Original LS3/5a has a 5” specialist-coated Bextrene cone in a black powder-coated chassis that exactly fits the original KEF B110 chassis dimensions. The components used in the construction of the Falcon B110 are the same as were used in the original KEF B110. 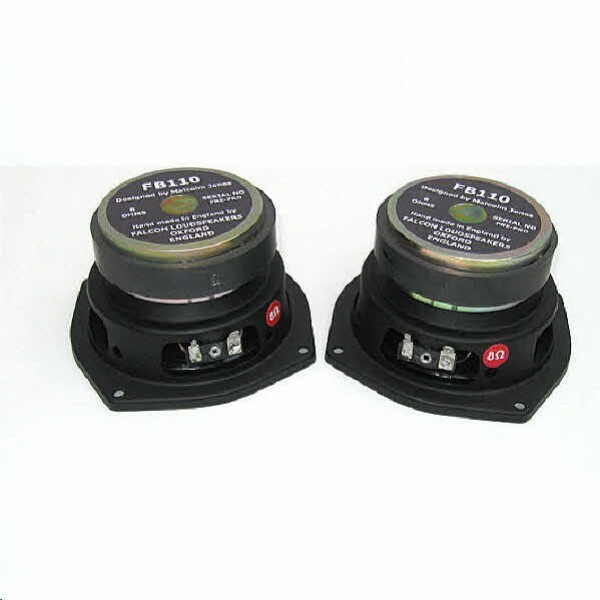 The surround, spider, magnets and metalwork are all made especially for Falcon by the original manufacturers. Bextrene for the 5” cone has been specially produced again for Falcon (other cone materials e.g TPX, Cobex have been used by other manufacturers over time with varying success, but none of these are genuine B110’s). Coatings are identical and adhesives where not identical are modern equivalent or improved formulations. The Falcon B110 drive unit and design is © Malcolm Jones and Falcon Acoustics Ltd 2013-2018.